Cape Town is the only major city in South Africa with a dedicated pollen monitoring operation, the UCT Allergy Immunology Unit. 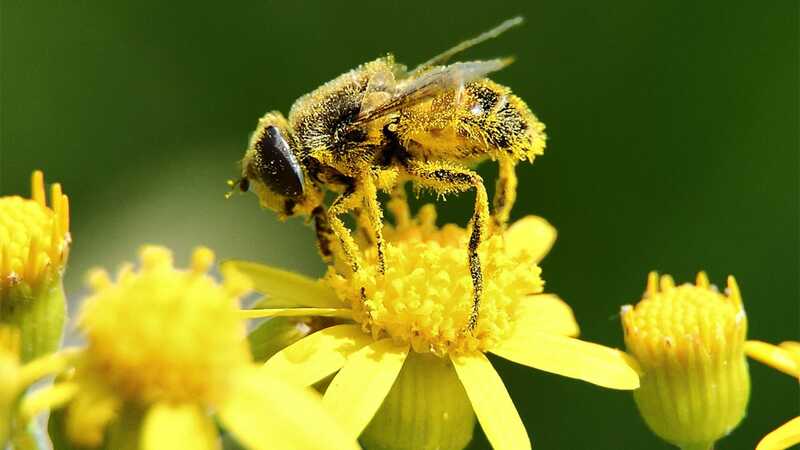 “If there is one thing that we have learnt, is that each pollen season is different. The pollen count changes each week and every year, so that it is very important to monitor pollen for each new season, rather than using pollen counts from previous years because weather patterns, like rain, wind, temperature and humidity, directly affect pollen in the air,” said the aerobiologist at the UCT Allergy Immunology Unit. Grass counts decrease in drought years and increase after good rainfall. There are a number of clinical benefits for allergy sufferers and their doctors, to ascertain accurate, up to date pollen monitoring. The first is the identification of the offending pollen that is triggering symptoms. Is it a grass or a tree pollen? If so, which one? Knowing what you are breathing in can help direct allergy testing to find the culprit and save costs. Second, up-to-date counts allow patients with known symptoms to schedule their outdoor activities, thus avoiding certain weeks in the summer for outdoor picnics for instance, or ensuring adequate antihistamines are packed. Athletes with pollen allergies can better plan training schedules with good monitoring. This is a difficult time of the year for those who have seasonal allergy. Hay fever, rhinitis and allergic conjunctivitis can cause great discomfort. Many airborne allergens are around this spring. PollenSA, which updates the pollen counts each week, reports that tree pollen levels (oak, plane, pine, cypress) are still in the air in significant amounts and olive pollen is entering its flowering cycle. Moulds are also high in response to warmer temperatures and moist air. “The heavy rains at the end of winter followed by unusually warm weather for early October with temperatures exceeding 30˚C have resulted in very high grass and tree concentrations,” it stated. Tree pollen consisted of birch, cypress, oak gum, pine, plane Rhus, poplar and willow. Cypress and pine tree concentrations were very high, plane, oak and gum were high and acacia, poplar and willow were low. Fungal spore loads increased and significant Alternaria levels were seen. Weed pollen was low, but a large variety of weed pollen was trapped. Allergens differ from patient to patient. There is no ‘one size fits all’ list of allergens. One patient’s symptoms may be caused by very specific allergy triggers. To find out what triggers symptoms, find out where and when the symptoms are worst, and then do IgE skin or blood tests to look for the allergy antibody. There is an urgent need to expand pollen monitoring to the other major cities in South Africa, to provide accurate up to date information. The UCT Lung institute is looking for interested commercial sponsors to assist in setting up monitoring in Johannesburg, Pretoria, Durban and Bloemfontein.